These honey and vanilla almonds are great as topping on ice cream,, cakes and pancakes. They are quick to make and only requirer three ingredients. And oh so crunchy and tasty. 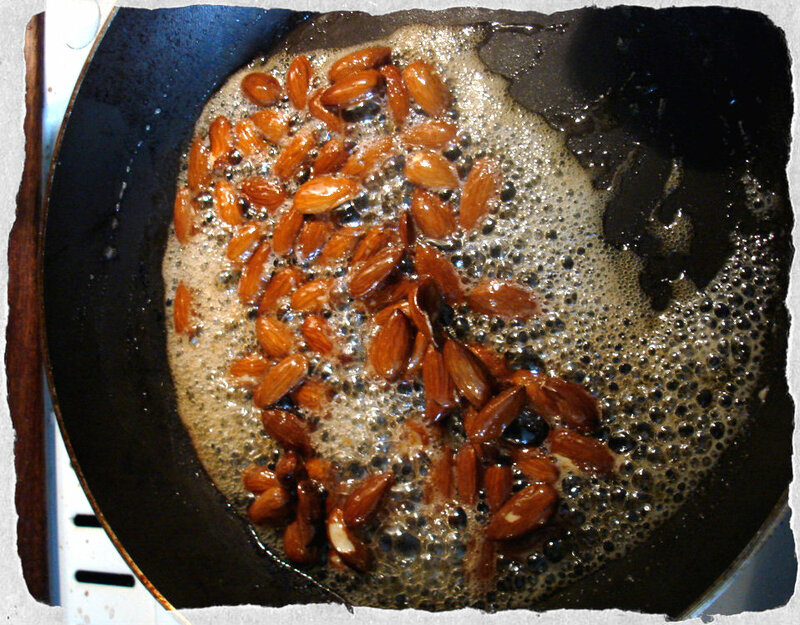 Heat a pan and add honey and vanilla, wait till its warmed up and add the almonds. Let it all sit for a few minutes while stirring. 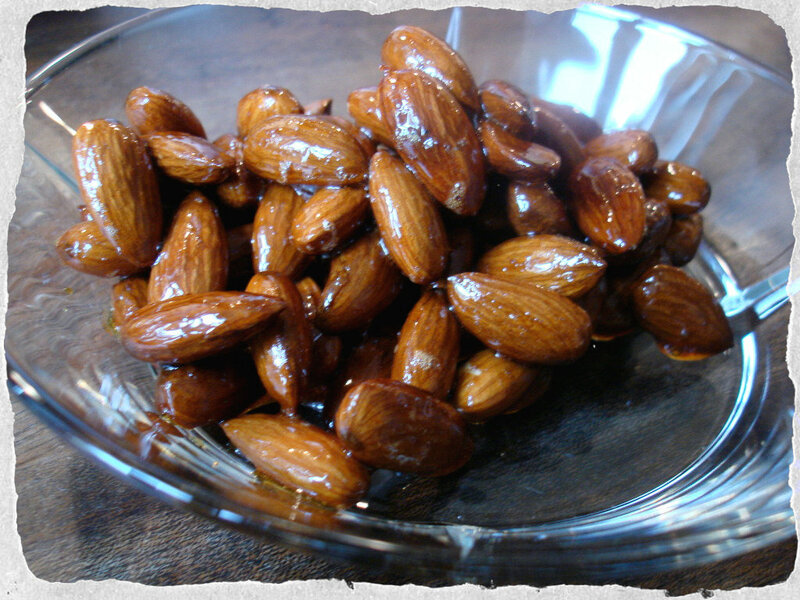 When the almonds start to smell lovely nutty and are well coated with the honey, they are done. Enjoy right away – but be careful not to burn yourself – or save them for later. If you do save them, the honey will harden and it will be candy like, still wonderful though, just a bit harder to separate.